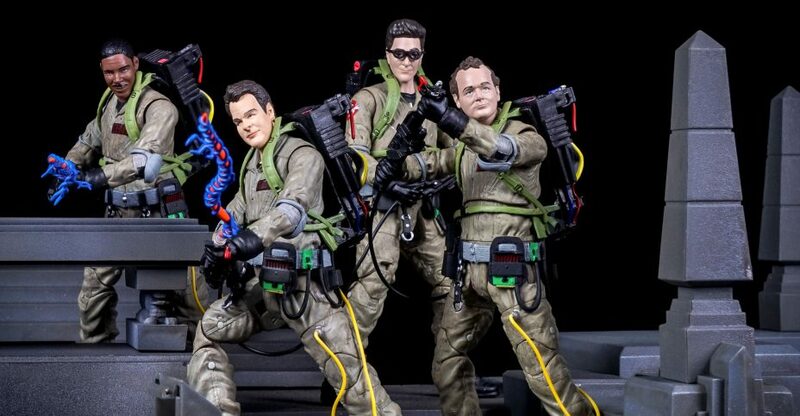 The newest Ghostbusters Select Action Figures are in stores now from Diamond Select Toys. 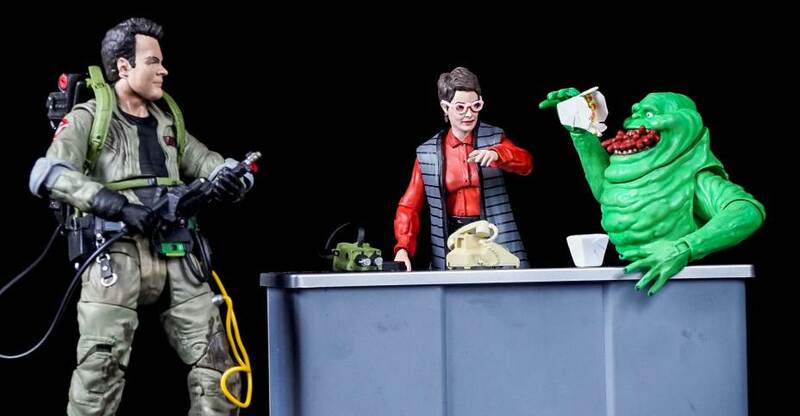 After completing their massive Roof Top Diorama from the first Ghostbusters film, they set their sites on the second film. Starting with Ghostbusters Series 6, fans will be able to assemble the front of the Ghostbusters Firehouse by collection Series 6 through 10. 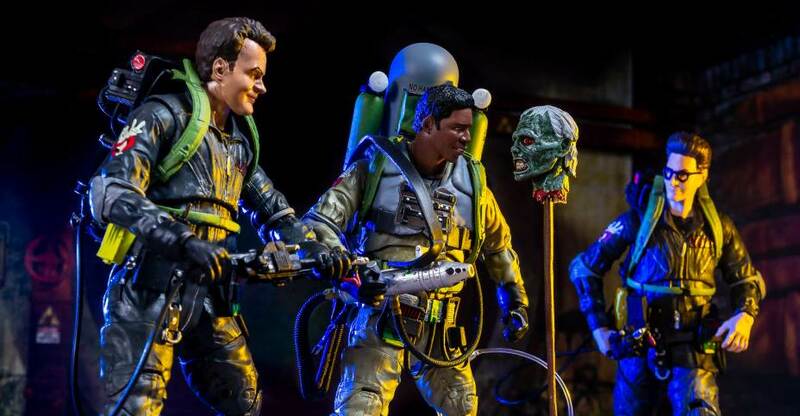 Each figure will include pieces to the diorama, including both Ghostbusters and Ghostbusters 2 signage to hang over the doorway. 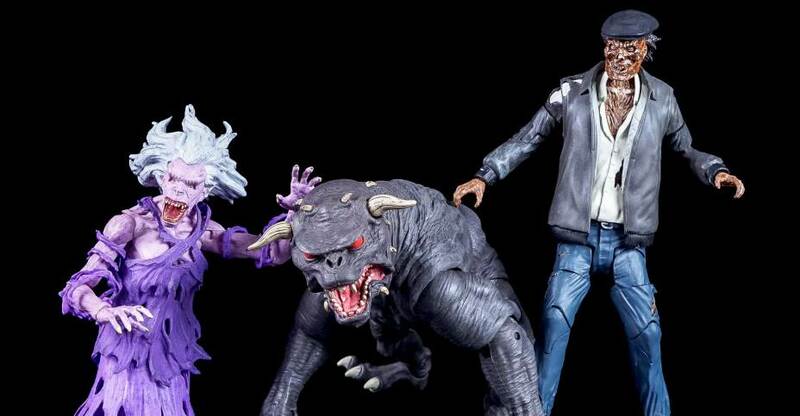 Most of the figures will deal with the second film, with the last couple waves including figures from The Real Ghostbusters cartoon series! 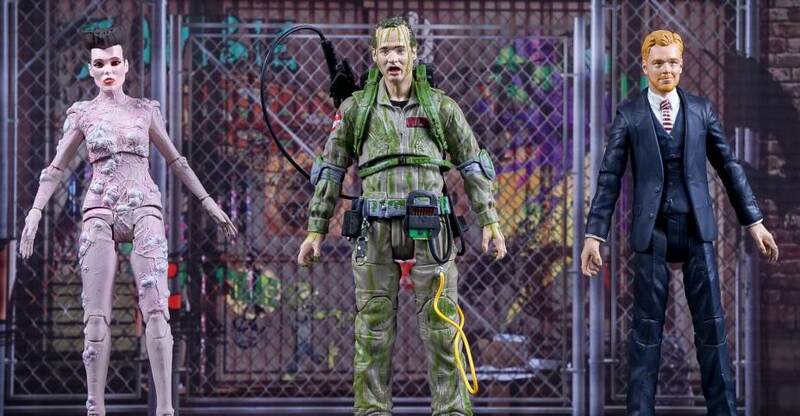 Today we are taking a look at the first two assortments of the Firehouse Diorama waves; Ghostbusters Select Series 6 and Series 7. DST sent these along for us to check out. After the jump, you can see over 70 photos and my thoughts on the figures. We have nearly 80 photos of the figures. We’ve pieced together the currently available pieces of the dio as well. You can see the photos and our thoughts after the jump.